Sign up before you Sign In! Thank you so much for entrusting the care of your pet with us! 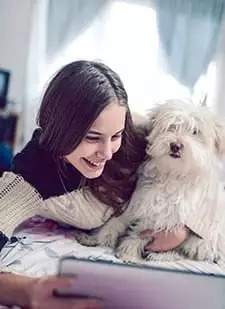 We would like to invite you to access your pet’s records online THROUGH OUR PETPAGE MOBILE APP. 2) After you have installed and opened the app on your mobile phone click the “sign up” button on the home page of the app. Enter your email address, choose a password and click the blue sign up button. You must use the email address on file at American Animal Hospital.